Somewhere in Cleveland, sits a man aka “the greatest player in the world” that is mourning another failed appearance in the NBA finals, after single-handedly putting his team on his back to get them there. He did all he could to win the series, but he lacked one significant piece to the puzzle: a supporting cast. 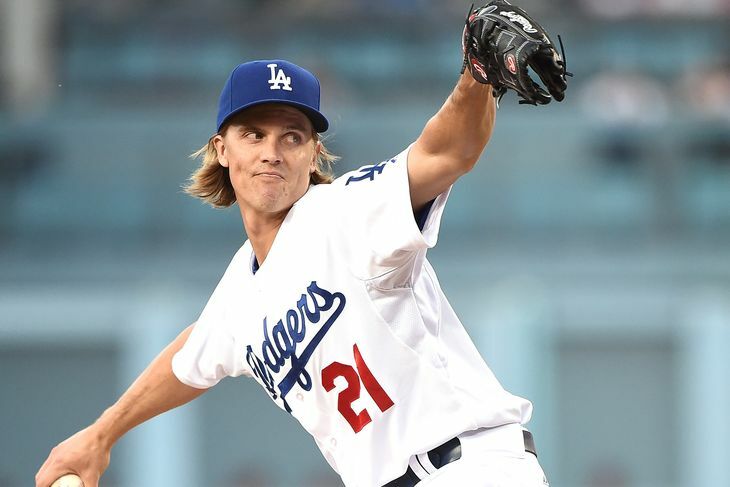 There is one person in Los Angeles that can totally relate to that man: Dodgers starter Zack Greinke. Greinke has been all but superb this season. He is currently 3rd in the Majors with a 1.81 ERA, as well as 3rd in WHIP. However, the lack of run support when he hits the mound, has haunted him over his last several starts this season. But unfortunately for Greinke, he ended up with a no decision, due to lack of run support. To put things into perspective, Greinke is 0-2 with a 1.99 ERA in his past eight starts, and the Dodgers have scored less than three runs in six of them. And to make matters worst, the Dodgers have scored just six runs in Greinke’s last five home starts. Atrocious! I’m not as concerned with the Dodger’s sudden frozen bats, for we know they can hit home runs (currently tied for 2nd in the MLB) and score runs (currently tied for 10th in the MLB). I’m just concerned that they fail to provide that kind of offensive production when Greinke is pitching. The lack of run support adds unnecessary stress and pressure on Greinke, or any pitcher for that matter. In the meantime, LeBron sympathizes with you Greinke.